Think Rabell. Henry & Linda Rabell. here and are proud to call this community home. advice from Gainesville's leading real estate duo. knows our community better than anyone. 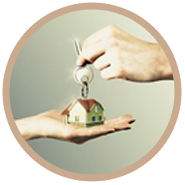 you can trust to meet your real estate needs. Thanks for selling our home! Great job in pricing, staging, marketing and negotiating. You are a great team. 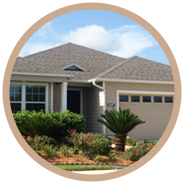 Henry and Linda Rabell were excellent to work with during our relocation to Gainesville. They consistently listened to our needs and desires and were extremely patient with us. (We are very particular.) They worked well as a team during the house hunting and right through the closing. They were always reachable when we had questions, and they were extremely thorough. We could not have been more pleased with our moving experience thanks to Henry and Linda Rabell. My husband and I began house hunting in mid December 2009 when we came across the community Weschester. Linda greeted us and showed us a home that we both really liked. 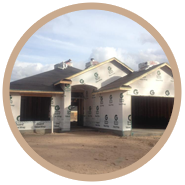 Before I knew it, we were having a home built and through all the commotion and different levels of stress involved, Henry and Linda really took the time to take care of us and help with the time consuming, tedious process of building a home. Anytime I needed advice or a question answered, they were there. I certainly couldn’t have gone through this enormous process without them and I would definitely recommend anyone I know looking to purchase a home to go see the Rabell’s first. Thanks for everything!! Linda and Henry made buying a house one ofthe easiest things I have ever done. Every question that I had was answered quickly and accurately. All the fears that I had about buying a house never became reality. I can’t even put into words how easy they made the whole experience. Thank you for everything guys! Dear Henry and Linda, Moira and I wanted to take the time to send you a quick note of thanks for all of the hard work that you both put in during our recent home purchase. As you both well know, the purchase of a home can be quite a daunting task, especially when you are relocating from hundreds of miles away. Your wealth of knowledge of the Gainesville real estate market together with your keen senses of humor made this entire process go seamlessly. Dare I say it was actually enjoyable? We found the home of our dreams and we, quite simply, could not have done it without you! (C) 2013, Henry & Linda Rabell. Real Estate Agents in Gainesville, FL.